Dry-hire company LEM Digital not only provided the digital editing and workflow technologies for the latest James Bond film Casino Royale, but working with the film's producers and Bell Theatre Services, it also used HD dailies and digital projection extensively on the film. 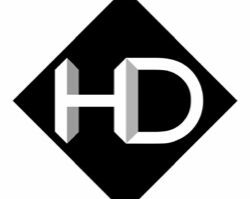 It now plans to roll out similar HD post production and HD finishing services to film and broadcast producers, writes Andy Stout. Dry-hire company LEM Digital not only provided the digital editing and workflow technologies for the latest James Bond film Casino Royale, but working with the film’s producers and Bell Theatre Services, it also used HD dailies and digital projection extensively on the film. It now plans to roll out similar HD post production and HD finishing services to film and broadcast producers, writes Andy Stout. The company’s first challenge entailed working closely with the film’s editorial team, led by editor Stuart Baird A.C.E., during the pre-production phase of the film, to design and implement a workflow that would assist the film’s international production schedule. The editing on Casino Royale moved between Prague, the Bahamas, Pinewood Studios and Soho. For the film, LEM Digital established a disc-based HD rushes/projection theatre on location at Barrandov Studios in Prague, which subsequently moved to Pinewood Studios, and then to Soho as the production neared completion. The advantage of the system was that it could be quickly set up at different locations whilst providing high-quality and flexible playback facilities. Along with portability and convenience, the adoption of this modern workflow on Casino Royale, provided the filmmakers with significant cost savings on film-processing too. The editing on Casino Royale took place on multiple Apple G4-based Avid Meridians running Media Composer, with 4TB of Unity storage and fibre optic LANShare networking. The HD dailies were viewed via a Rushplay system, outputting HD MPEG-2 files through a Sony Qualia projector, which was supplied by Bell Theatre Services. LEM Digital also provided an Avid Unity system with 2.4TB of storage, and a Mac G4 Avid Meridian, at Arion the facility responsible for the provided the daily film transfers. The dallies were digitised into the Avid via Digibeta and transported to location on Firewire drives. The HD dailies for projection were also shipped at the same time on separate drives before being copied to the Rushplay server for the crew screening of digital rushes.